At heart, the idea is simple: use SMS (text messages) and MMS (media messages) to communicate with an opt-in list of mobile users. Its advantages are in the instant, direct nature of text messaging – consider that the vast majority of text messages are received, opened, and read within 15 minutes – and the universality of SMS messaging. Cell phones have become ubiquitous in the past several years, and most of us will have our phones on us for the majority of the working day. It’s easy to see that the instant and personal nature of text messaging makes non-profit SMS marketing strategies effective, but how best to apply that can vary from organization to organization. The most obvious method is using text messaging to promote specific events to regular donors, supporters, and volunteers; updates can be provided on the fly if circumstances or scheduling must be changed, and done so with more certainty that the messages will reach their recipients than even e-mail can provide. The same idea can be used to announce and market fundraising drives and on-going programs: single text messages are far more direct than newsletters and, as we’ve seen, more likely to be read than their counterparts. Bulk SMS messaging, as it turns out, is not only as fast as e-mail, and is much more thoroughly read, but it’s not at all difficult or expensive to set up. For a cost of mere pennies (or less!) per message, a relatively sizable SMS mailing list can be maintained by organizations of any size. There are also revolutionary methods, specific to bulk text messaging, that are easily adapted from for-profit enterprises or are entirely unique to non-profit SMS marketing. Let’s take mobile coupons, for instance: coordinating with local retail stores and restaurants is time-honored method for non-profit fundraising, and by issuing coupon codes by text and media messages, this sort of coordination is made easier than ever. Consider, too, the unique solutions that nonprofit organizations have drawn from mobile marketing; in particular, the text-to-donate scheme developed by the American Red Cross has proven its effectiveness on multiple occasions. The ideas simplifies the donation process into a single text message; the selected increment (usually ten dollars) is billed to the customer’s account and transferred from the customer’s next payment to the organization – or, in the case of some pay-as-you-go plans, debited immediately! While this scheme isn’t perfect as a long term solution – donors for many programs will give more than ten dollars when asked to submit by card or check, for instance – it has proven its effectiveness as a means of flash fundraising when an immediate need surfaces. New times have brought new challenges for charitable fundraising, to be sure, but they have also brought a wealth of new opportunities. If you’re looking for a way to reinvigorate community interest in your organization, a non-profit SMS marketing scheme may be the low cost, high return approach you need; you’ll be surprised just how practical – and affordable – bulk text communication can be. 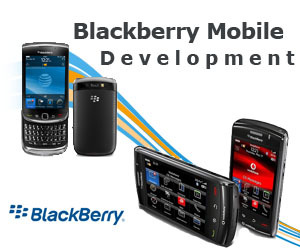 Canada Mobile Marketing is taking off in popularity. Do you have a Nonprofit Marketing Plan that includes Mobile? There are quite a few of mobile marketing companies in Canada , but before you decide on a nonprofit mobile marketing plan, Sign up for our FREE mobile marketing training below. There is very little doubt that mobile phone marketing is the new future of marketing as we know it. As a nonprofit organization in Canada, you need to start to learn more about how these new mobile marketing strategies will help your organization. Are you looking into nonprofit mobile website development? Are you considering how to create mobile apps for your nonprofit organization? Do you believe that SMS marketing services are right for your organization? If you run a nonprofit in Canada, take advantage of our FREE MOBILE MARKETING TRAINING VIDEOS by Signing up Below! Awesome! I never knew that bulk sms marketing could be accomplished at such a low cost. And considering many things, it is more effective than emails. I would make it a point to start using bulk sms marketing for our next local fund raising events.Thanks and great article!